With mad style like that, of course you do, Amy. Mad colorblocking. A crazy awesome african necklace. 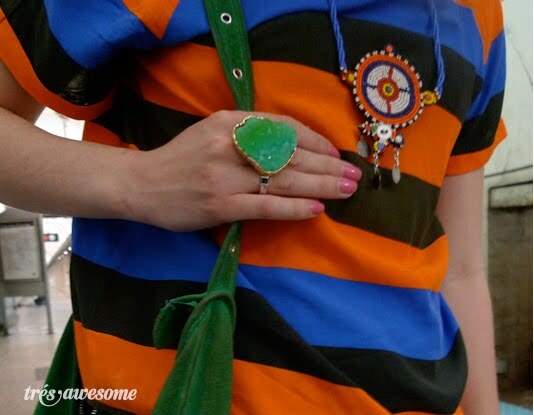 A ginormous green jade ring against a green suede purse. And Givenchy jellies to boot. Pun totally intended. Thank you, Amy, for giving the Chicago stop a lot more Street Style. No word on what she was listening to, her iPhone died. It probably couldn’t keep up with that outfit. 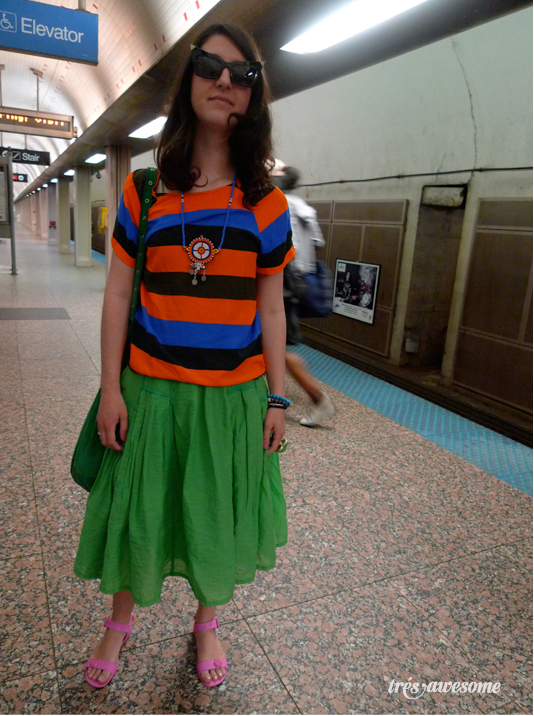 Check out Amy Creyer's radical site Chicago Street Style for more fabulous Chicago Street Fashion. This outfit is a total failure. I can't believe she has a fashion blog. I think I need that shirt in my life!